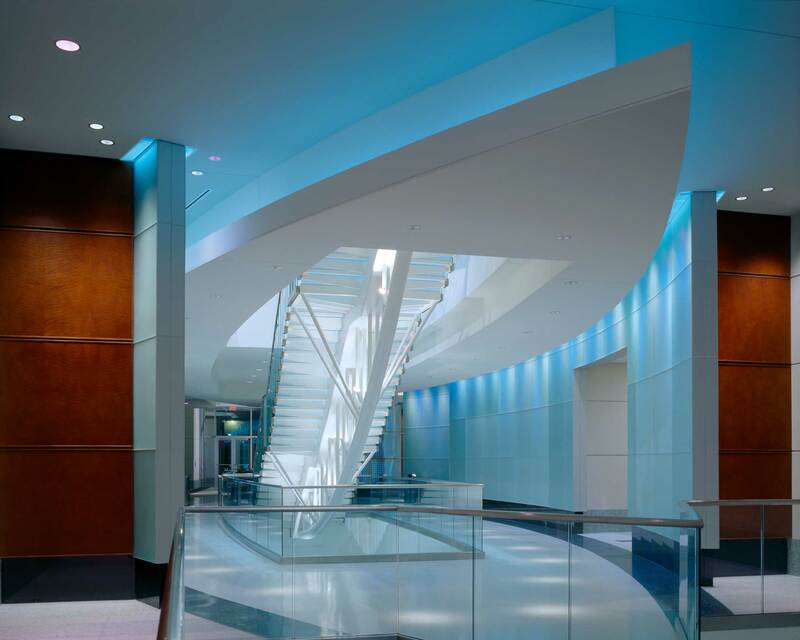 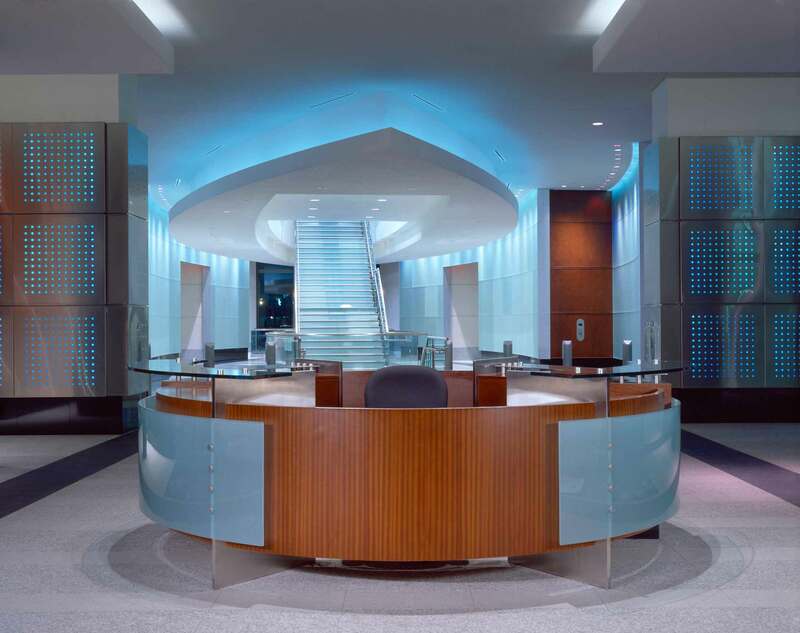 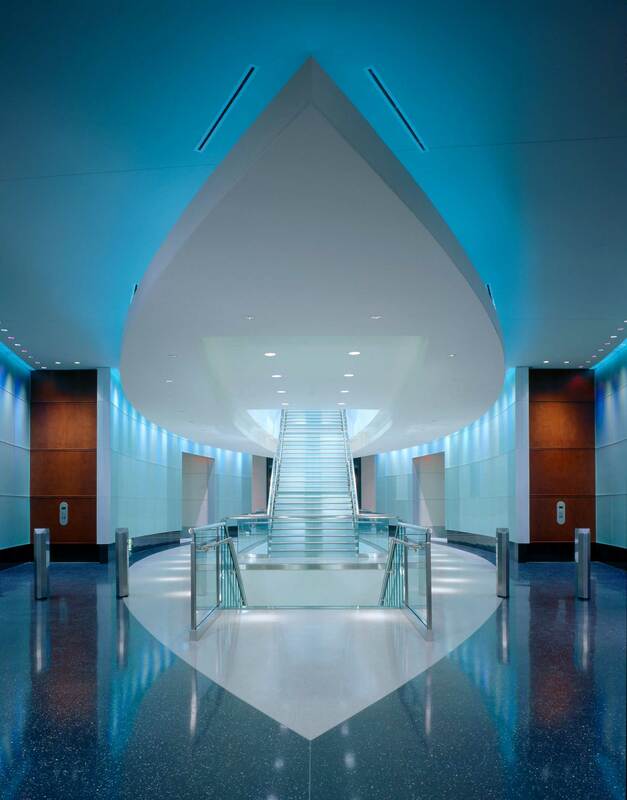 Site constraints created the forceful mitigating geometries of the entry lobby of this urban corporate campus building in Atlanta. 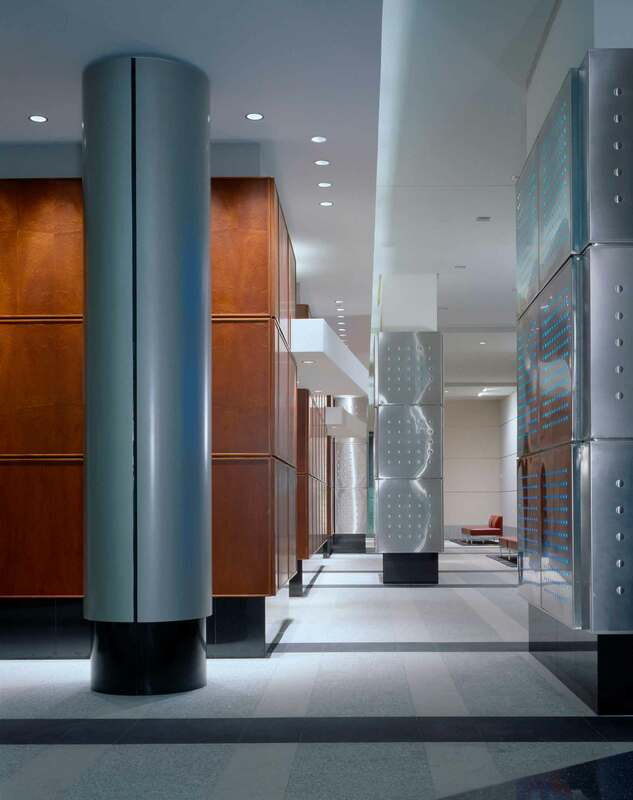 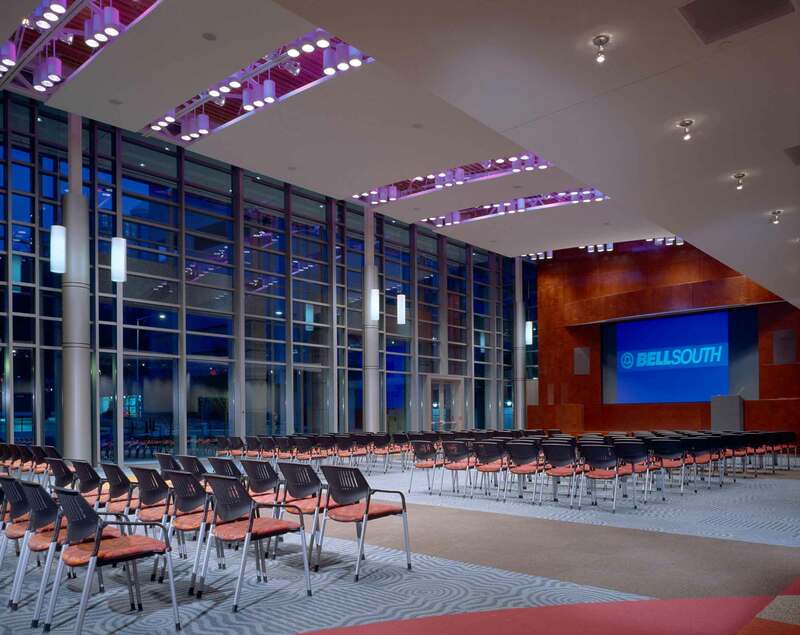 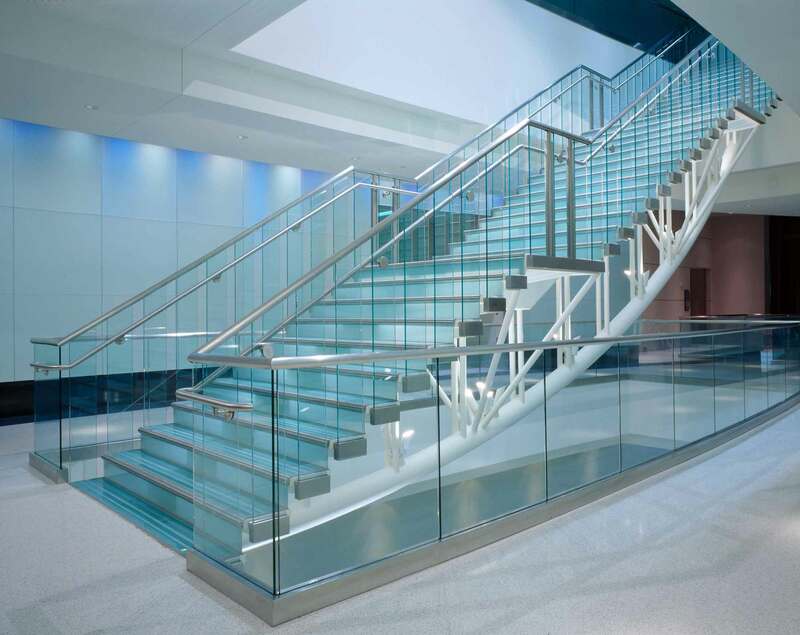 Technology driven tenants inspired the edge-lit etched glass walls, glass and steel stairs, perforated stainless steel panels and terrazzo floors contrasted by Sapele wood veneer. 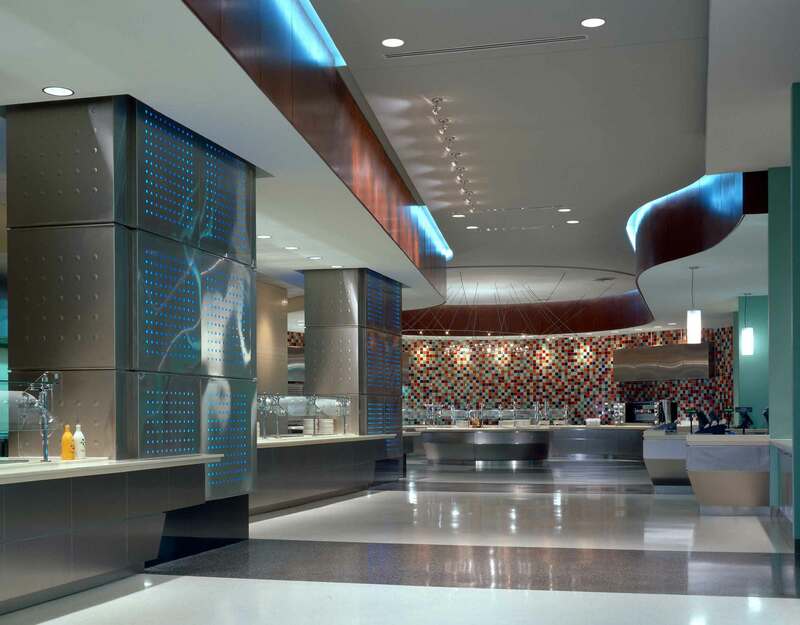 A tenant Multi-Purpose Room, Cafeteria, Servery, and Company Store are seamlessly integrated into the base building design and provide a “billboard” to the exterior streetscape.